After having the Indique Tahitian Curl installed for almost 9 weeks, I can say with absolute certainty that Indique hair is worth the hype. Please note, this review is NOT sponsored. Yes, ladies, I purchased this here hair with my own cash money, yaheard?? The Tahitian Curl texture is South East Asian hair that has undergone a special 3-day steaming process. The texture has a defined S-pattern and voluminous texture. Indique’s SEA Tahitian Curl has a consistent curl pattern that is supple and incredibly easy to manage. Each tube contains approximately 4 oz of hair. Indique hair is not cheap. I’ve come to realize that when it comes to virgin hair you get what you pay for. So yeah, 2 bundles of 22” of the Indique Tahitian Curl (which is what I have installed) will run you $250 a bundle. Indique only has storefronts in Boston, New York, and Atlanta. So if you’re wanting to hand-select the hair you plan to install, you’ll have to do so in one of the aforementioned cities. Otherwise, you’ll have to buy online. It’s worth it! No shedding. No tangling. That’s right. NO SHEDDING and NO TANGLING! If you are in Boston, I recommend buying the hair during tax-free weekend. Otherwise, you’ll be tacking on that 6.25% tax. Find a stylist who is partnered with Indique and have said stylist buy the hair for you. This will save you $40 bundle. Join the Indique mailing list and follow their brand on Facebook, twitter, and Instagram. They have sales monthly, so don’t miss out. 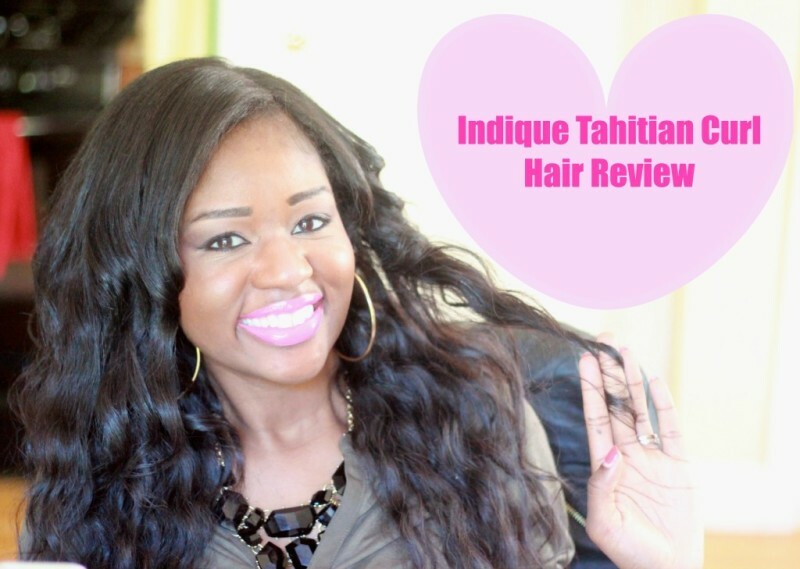 Be sure to let me know what you think of this Indique Tahitian Curl Hair Review in the comments section! I really enjoyed your video of your indique tahitian curl hair review. I was also wondering how much did it cost to have the hair installed after the purchase of your hair? Thank you for watching! My stylist charged me $100, but that’s because she’s in brooklyn. my sister pays $300 for her installation in boston.